“Dr. Gebeck and his staff are using state of the art equipment, as well new and innovative procedures to treat their patients. These differences make treating the most difficult cases much easier on young patients. Thank you everyone at Orthodontic Associates PC for making every visit painless!” - Lisa F. “We drive from Grosse Pointe area to see Dr. Gebeck. We love him and the whole office staff. The office is beautiful itself. My daughter got her braces off yesterday and hasn’t stopped smiling! They run on time which is a beautiful thing when scheduling around school schedules.” - AnneMarie W. “I just want to thank Dr. Gebeck and staff for being so patient with my daughter. It can be very frightening for a 7 year old but everyone made her feel so comfortable and cared for. You are all so caring and kind. I can't thank you enough!” - Roxanne B. H.
Your smile is important; it's one of your most stunning, unique features. Your smile is expressive, persuasive, confident, and one of a kind. At Orthodontic Associates, we recognize the importance of your smile. No two smiles are alike, and each smile requires individual attention. Our orthodontic practice is not your typical doctor’s office; Drs. Gregory Hummon and Thomas Gebeck Jr. are genuinely dedicated to your smile and overall oral health. Drs. Hummon and Gebeck use only clinically tested and proven treatment techniques to deliver the best results. The treatments we provide give patients lasting results without compromise. We treat patients in a classic office that is comfortable, family friendly and equipped with the technology necessary to provide cutting-edge diagnosis, treatment planning, and treatment. AcceleDent® Aura is a fast, safe, and easy-to-use appliance that can help achieve your desired smile faster! Experience life with a one-of-a-kind smile! Contact our Birmingham orthodontic office to schedule your initial consultation today. 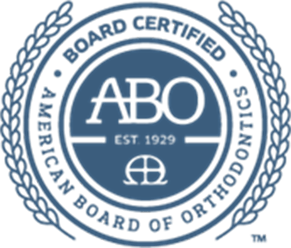 For unsurpassed orthodontic service, we service Birmingham, Bloomfield Township, Troy, Auburn Hills neighborhoods.